A few years ago our team completed an intense assignment with a mid-sized organization located in the Midwest. Our charge was twofold. In Phase 1 we helped the organization set and communicate a new strategy for the future. As part of this process we conducted a thorough environmental assessment with more than fifty key stakeholders. We took the findings and facilitated a number of discussions leading to a longer term strategic plan and a 3-year strategic operating plan built on a balanced set of objectives, key performance indicators and initiatives. Additionally organizational objectives were cascaded to the business units and functional departments. High priority projects at the business unit and functional departments were also identified and incorporated in a 3-year operating plan. In Phase 2 we helped the team put in place several strategic processes necessary for the organization to achieve its desired future state. Here we recommended the organization take special effort to provide a robust communications and change management program, and an information management capability necessary to inform and guide implementation management. We developed a strategy management calendar to coordinate the annual strategy management process with the organization’s regular budget planning process. From a best practices perspective we followed the rule book. Unfortunately when it came time to implement the plan the leadership team was unable to break down silos and remove obstacles. The commitment of the time required to be successful were only made after the organization experienced disruptive forces that eventually led to a change in leadership. This dramatic failure got me thinking about the reasons why such a circumstance would occur. In the end it pointed to failure of the CEO to effectively lead implementation and communicate effectively. In this case the CEO was an exceptionally competent and respected individual with deep industry knowledge who did not have the requisite strategic management competencies. In the table below I have summarized key competencies required for a CEO to effectively develop and lead strategy implementation. Highlighted competencies were not present in this situation. CEO Accountable to the board of directors for development and achievement of all strategic objectives. Able to lead a cross functional team of leaders to build a strategic planning & management system. Able to communicate the need for change. Able to manage stakeholder expectations and influences. Able to accurately assess the current strategic environment both internally and externally. Able to convert assessments into a clear strategic direction. Able to foster a culture of creativity and innovation. Able to explore alternative strategies & select strategies leading to success. Able to create value for their customer and a competitive advantage for their organization. Able to foster ongoing communications and involvement of key stakeholders so they “buy in” and “stay in” over time. Able to define timeframes for strategy execution to guide implementation of the plan. Able to operationalize strategy and define a targeted set of objectives (desired outcomes). Able to define KPIs for measuring objectives and set targets. Able to select strategic initiatives and identify intended deliverables. Able to explain how the strategic planning process and budgeting process fit together. Able to prioritize where to focus efforts and allocation of resources. Able to identify and manage risk and unintended consequences. Able to communicate change and lead the change management process. Able to overcome obstacles and resistance. Able to lead strategy implementation at a deep level. Able to define structure, roles and responsibilities for execution. Able to use performance information for decision making. Able to establish a productive recognition and reward process. So what’s the point? My point is an organization can follow any one of many strategic frameworks to the letter of the law and still fail at execution. To be successful the leadership team must have the requisite strategic management competencies or at a minimum be working toward building these competencies. In this case we are pointing to the absence of competencies of the top leader. 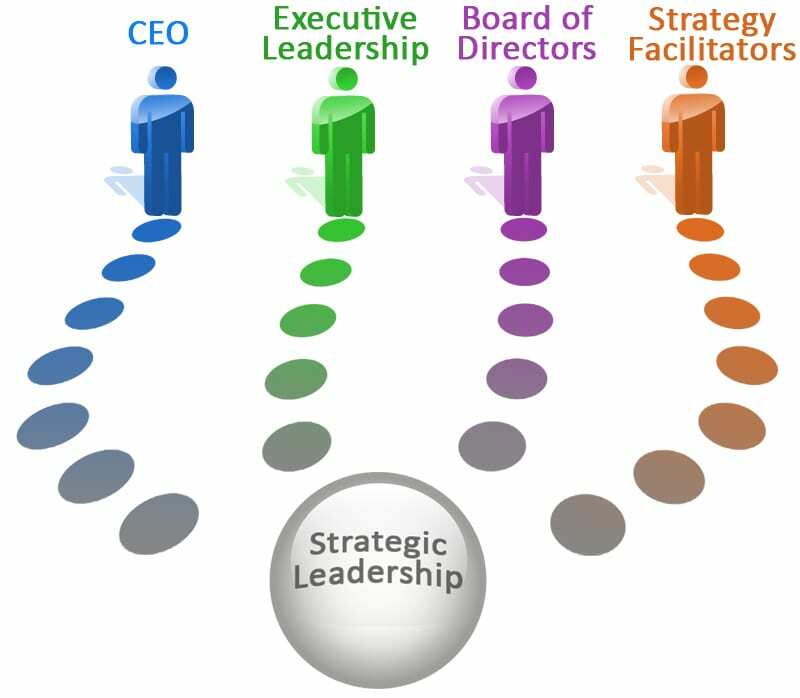 In subsequent blog postings we will address other key leadership roles, competencies required and the fundamental role overall organizational capabilities plays in the journey to becoming a strategy focused organization.